At Aspire Bifolds, we offer premium quality aluminium and PVCu home improvements, fitted with the finest window and door glass. Our glazing is designed to offer clarity, longevity, security and energy efficiency. Window and door glass information. As standard, our double and triple glazing is made from the world-renowned Pilkington K™ Glass S giving excellent energy efficiency in your window and door glass, whether your frames are PVCu or aluminium. For the ultimate in energy efficient glazing, Pilkington K™ S glass offers high performance double glazed units with a low-emissivity soft coated, warm edge spacer bars and argon gas in the unit. Pilkington K™ S also enhances your window and door glass with solar heat gain, a neutral appearance for enhanced clarity and the best possible light transmission. If you are looking to buy energy rated aluminium or PVCu windows, our glass ensures the best overall window performance. Our glass works with our entire range of energy efficient windows and doors to meet the requirements of the current Building Regulations, save money on your heating bills and works alongside Government targets for CO2 emissions reduction. PVCU and aluminium window glass. As standard, our PVCu and aluminium windows come with Pilkington K™S glass, annealed where toughened safety glazing is not legally required. Includes soft-coat low-e coating, warm edge spacer bars and argon gas fill. Patterned glass is available for bathrooms or anywhere obscure glazing is required. Window leaded designs, astragal bars, Georgian bars and other window glass enhancements can be added. As standard, our entire range of hinged, sliding or folding doors come toughened Pilkington K™S glass, including soft-coat low-e coating, warm edge spacer bars and argon gas fill. Patterned glass is available where obscure glazing is required. 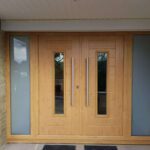 Our Endurance Composite doors come with over 30 different glass options alongside over 50 different door styles. All our composite door glass is toughened double or triple glazed units, with no additional backing glass required. Options include decorative lead, bevelled glass, patterned glass as well as textured. 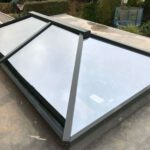 Our range of aluminium lantern roofs come with sophisticated triple glazing for insulation as well as strength. We offer a range of glazing up to a 44mm triple glazed units with exceptional U-Values as low as 0.7Wm2K. 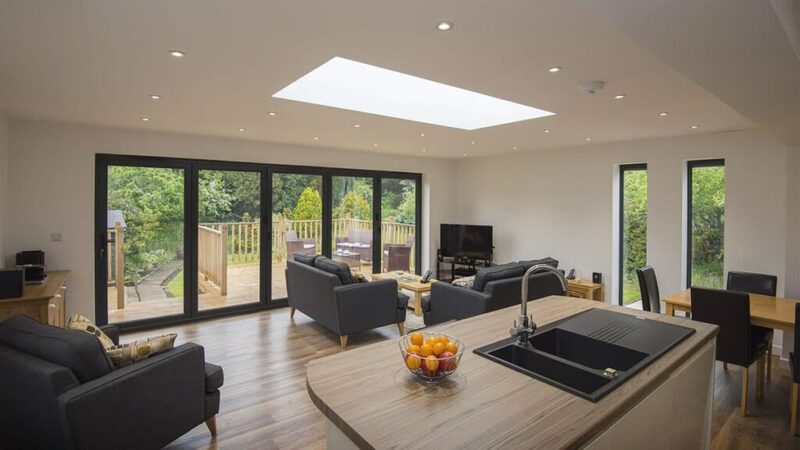 Our Atlas aluminium roofs are available with toughened glass with the option of solar control, self-cleaning properties as well as other options. 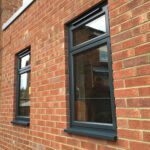 If your property is situated on a busy main road or improved sound insulation is one of the requirements of your new windows and doors, contact us to discuss your requirements. While standard double glazing will offer improved sound insulation over old windows with single glass, it is important to know that only specialist acoustic glass offers tailored sound reduction solutions for your home and reduced decibel (Db) levels. 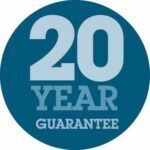 Contact us today to discuss making your home better and warmer. At Aspire Bifolds, we offer a complete range of premium home improvement products. Our friendly team is on hand to answer all your questions whatever your glass requirements. Contact us today or visit our showroom to see our extensive range of annealed, toughened, decorative and glass with integral blinds.